With effect from today it is now possible to lodge a complaint by email regarding ticket control inspections on Krakow’s trams and buses. 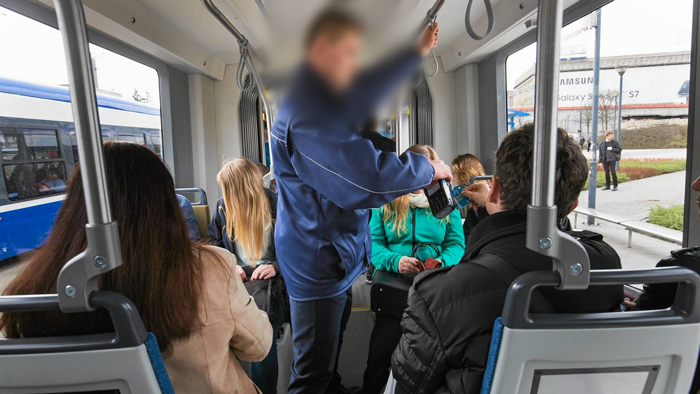 Uniformed and plain clothes inspectors operate on Kraków’s transport system, who have been subject to a number of complaints and allegations of unfair or aggressive incidents. Though, in fairness, the summary of their activity for 2017 suggests otherwise (see below), and the introduction of uniformed inspectors seem’s to have improved matters. Time will tell, how this will work in practice for complaints submitted by non-Polish speakers. Ticket inspections are currently carried out, on behalf of the city, by inspectors operating for a private company “Renomy”. They are currently mid way through their 4 year contract to provide this service. You can read more about them and their ‘mid term report’ here. An abstract of the summary report is shown below.